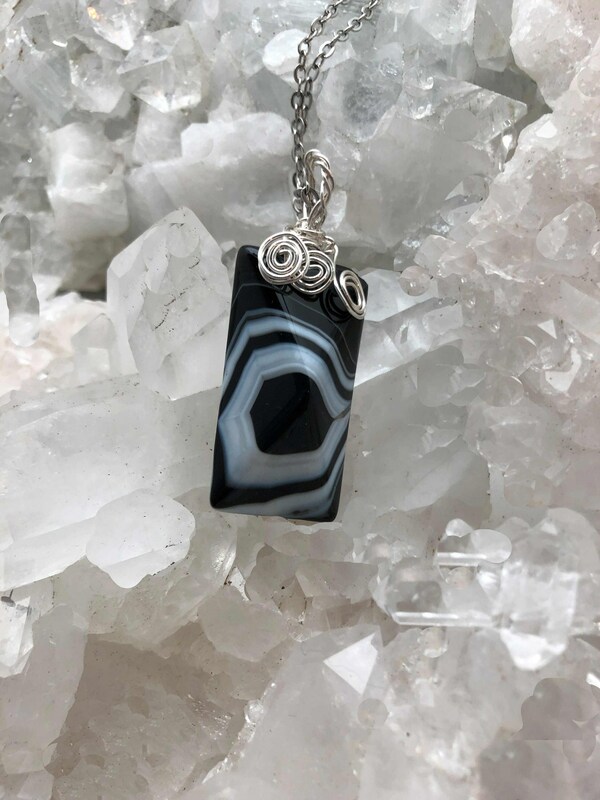 This gorgeous black agate is blended with Sterling Silver Wire and hangs on Sterling chain. It is 1.5 x .75" and the pattern is created by Mother Nature. The sterling chain is 18" long. 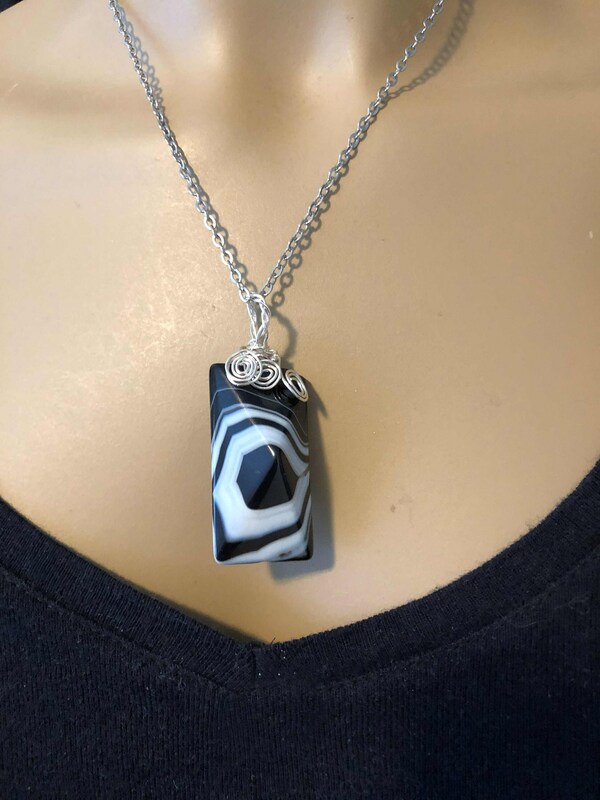 Because black agate has cold properties, then it is very useful to help reduce fever, help problems that occur in the abdominal area, aligning the heartbeat. 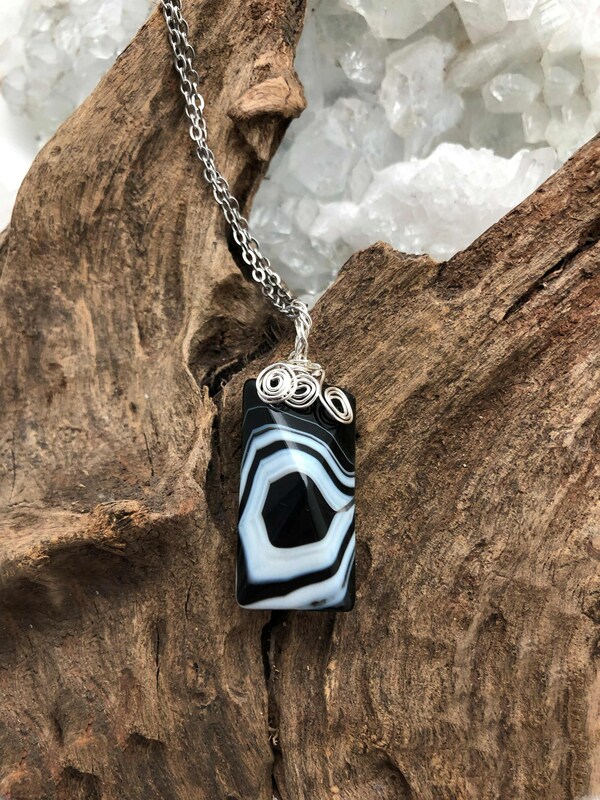 Wearing black agate stones at night to help you sleep well and sweet dreams, cure disease and help keep up balance the body. While wearing black agate stone during the day can keep up blood pressure and increase appetite by keeping our emotions.